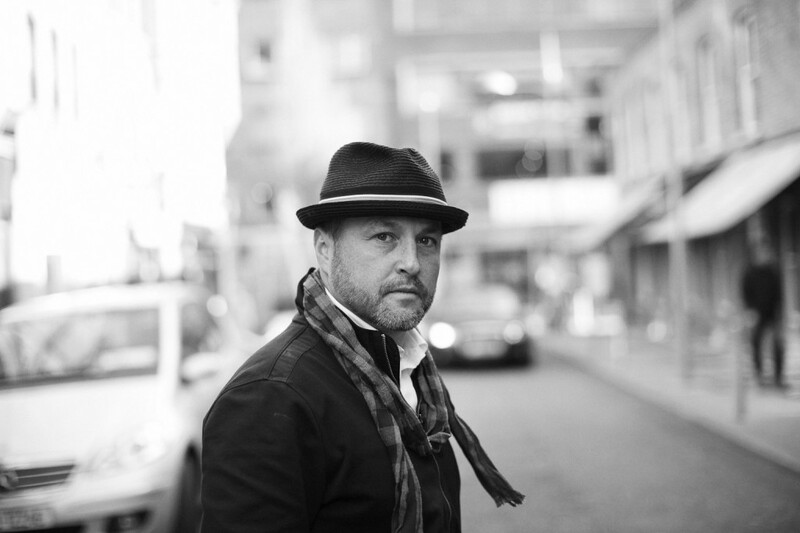 Colum McCann is the award-winning author of six novels and three collections of short stories. His most recent collection, “Thirteen Ways of Looking” has received rave international reviews, including a Pushcart Prize and selection in the Best American Short Stories of 2015. His novel “TransAtlantic” (2013) was an international best-seller. “Let the Great World Spin” was published in 2009 and won worldwide acclaim, including The 2009 National Book Award in the U.S, the 2010 Best Foreign Novel Award in China, the International Impac Award 2011, a literary award from the American Academy of Arts and Letters, and several other major international literary prizes. “Let the Great World Spin” became a best-seller on four continents. McCann’s fiction has been published in over 40 languages and has appeared in The New Yorker, Esquire, Paris Review, Granta, The Atlantic Monthly, GQ, Tin House, Bomb and several other places. He has written for numerous publications including The New York Times, the Irish Times, the Irish Independent, Die Zeit, La Republicca, Paris Match, the Guardian, the Times and the Independent. McCann is considered, in every sense, an international artist. Born in Ireland, he has travelled extensively around the world. He and his wife Allison lived in Japan for eighteen months. He currently lives in New York City, where he holds dual Irish and American citizenship. He is a member of the Irish Academy, Aosdana, and was awarded a Chevalier des arts et lettres by the French government in fall 2009 (making him one of a exclusive number of foreign artists recognised in France for their literary contributions: other recipients have included Salman Rushdie, Phillip Gourevitch and Julian Barnes). In 2017 he was elected to the American Academy of Arts and Letters. The territory of McCann’s work is international in scope and geography – his topics have ranged from homeless people in the subway tunnels of New York, to the Troubles in Northern Ireland, to the effects of 9/11, to a poetic examination of the life and culture of the Roma in Europe. He is known as a writer of style and substance, hailed by critics and readers alike. Among his major influences are Michael Ondaatje, John Berger, Don DeLillo, E.L Doctorow, Toni Morrison, Edna O’Brien and the Irish novelist Benedict Kiely. McCann is known a “poetic realist” and a “literary risk-taker,” a writer who is known to tackle the dark in order to get through to the light – “any sort of light, however compromised” – on the far side. McCann is very active in New York and Irish-based charities – in particular organizations such as the brand new global charity Narrative 4 (launched in May/June 2013, narrative4.com) , PEN, the New York Public Library, Art for Amnesty, the Norman Mailer Colony, and Roddy Doyle’s Fighting Words. “Let the Great World Spin” received unprecedented international recognition on its release in 2009. McCann was awarded the Deauville Festival Literary Prize; the Ambassador Award; the inaugural Medici Book Club prize; Amazon.Com’s “Book of the Year,” 2010; the 2010 NAIBA “Book of the Year,” given by independent book-sellers, and he was the overall winner of the Grinzane Award in Italy. The book was short-listed for several other awards including Irish Novel of the Year. In 2010 he was awarded a Guggenheim Fellowship from the John Simon Guggenheim Memorial Foundation. “TransAtlantic” was an immediate New York Times best-seller on its releases in 2013. The film rights for “Let the Great World Spin” were bought by J.J Abrams, the highly acclaimed director and creator of “Lost.” McCann is currently adapting the screenplay along with Abrams. It is not McCann’s first foray into film — his short film “Everything in this Country Must,” directed by Gary McKendry, was nominated for an Academy Award Oscar in 2005. In 2003 Colum was named Esquire magazine’s Writer of the Year for their “Best and Brightest” issue. Other awards and honors include a Pushcart Prize, the Rooney Prize, the Hennessy Award for Irish Literature, the Irish Independent Hughes and Hughes/Sunday Independent Novel of the Year 2003, and the inaugural 2002 Ireland Fund of Monaco Princess Grace Memorial Literary Award. McCann was born in Dublin in 1965 and began his career as a journalist in The Irish Press. In the early 1980’s he took a bicycle across North America and then worked as a wilderness guide in a program for juvenile delinquents in Texas. After a year and a half in Japan, he and his wife Allison moved to New York where they currently live with their three children, Isabella, John Michael and Christian. McCann teaches in Hunter College in New York, in the Creative Writing program, with fellow novelists Peter Carey and Claire Messud. The program is considered one of the finest in the country: only six students are accepted each hyear. Students who have graduated from the program include National Book Award Winner Phil Klay, Jessica Soffer, Scott Cheshire, Bill Cheng, Vanessa Manko, Jason Porter, Lauren Holmes, Gabriel Packard, Alex Gilvarry, Kaitlyn Greenidge, Victoria Brown, Sunil Yapa and several others who have launched successful literary careers. “Thirteen Ways of Looking” was published in October 2015. It consists of a novella and three short stories. Esquire magazine published the short story “Treaty” in its summer fiction issue. The short story “Sh’khol” was published in Zoetrope and has already been awarded a Pushcart Prize and was selected for Best American Short Stories 2015. “Letters to a Young Writer” was published in 2017. His newest novel will be published in Fall 2019 by Random House.